As a writer, his is one of the productions most importanes of the theatre in English contemporary, deserving of the constant recognition of juries and critique, though not all came to be published and the other is the case in the date very late, with respect to its premiere theatrical. Roberto Vidal Bolaño debuted a lot and published less, according to says Camilo Franco in La Voz de Galicia. 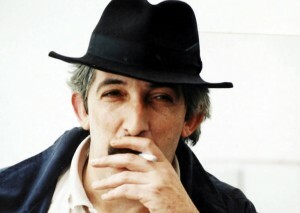 Fortunately, this is an injustice that the publishing world English begins the repair with the publication of the Complete Works that will hold Editions Positive, an edition of Francisco Macías in six volumes following the criterion of times the artistic set by Xosé Manuel Fernández Castro in his book about the trajectory of the playwright published by the results. Born in santiago de Compostela to Association Roberto Vidal Bolaño, co the purpose of promoting figure and work author dez years after her disappearance. Or collective is built by Bethlehem Quintáns, Roi Vidal, Ruben Ruibal, Antón Dobao, Francisco Macias, Xosé Manuel Fernández Castro and Camilo Franco.